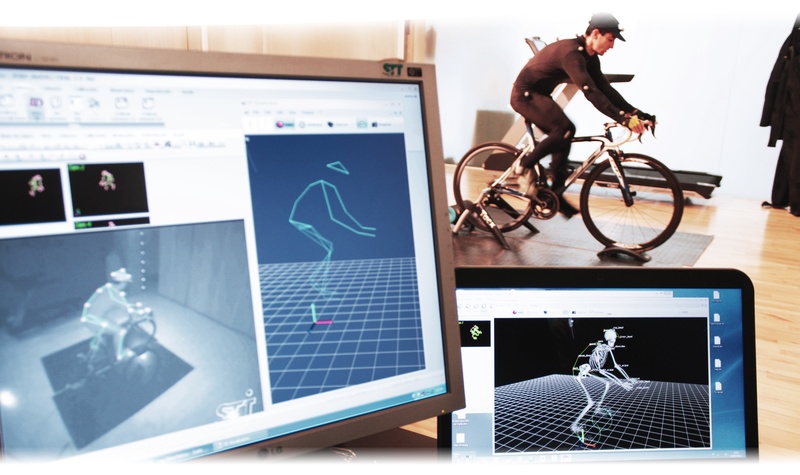 Harness the power of 3D Motion Capture to give cyclists an optimal fit. Optimize efficiency, reduce errors, and take your skills to the next level. 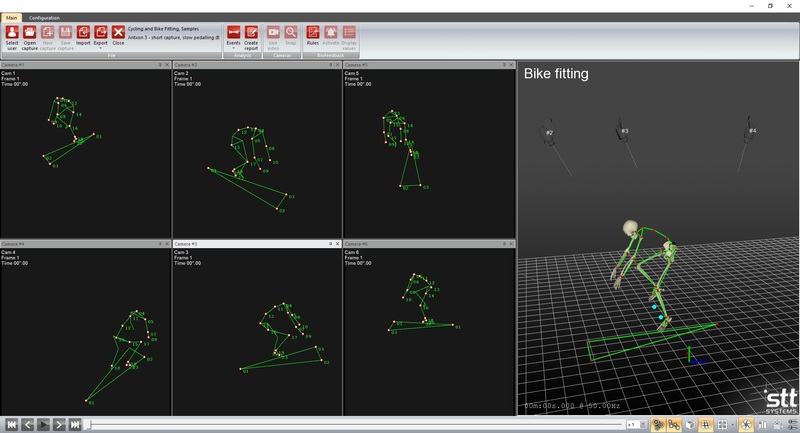 The 3DMA bike-fit system can be set up in most bike-fitting studios with ease. Mount your cameras on walls, the ceiling, or on tripods - it can be configured to fit your space. Want to add EMG or a synced high speed video camera? Easy. When a system is delivered, it is ready to be setup. Simple instructions for determination of capture space, mounting of cameras, cable connections and setup of software are included. Also, your license is unlocked permanently - no sneaky annual fees with 3DMA! 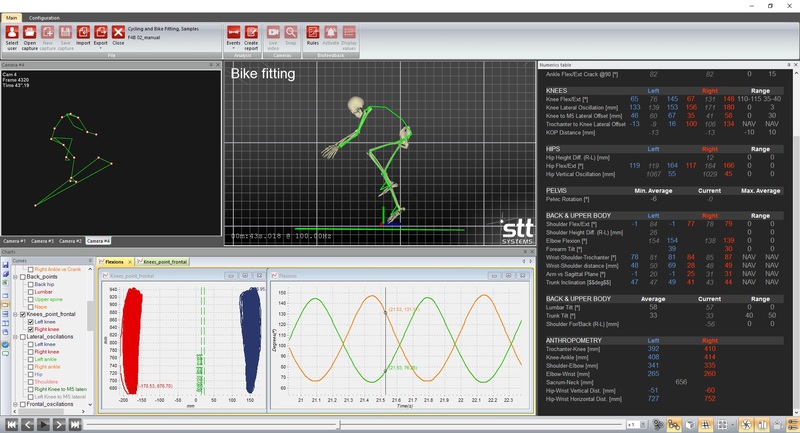 3DMA incorporates a simple, intuitive workflow into the data collection and analysis process. 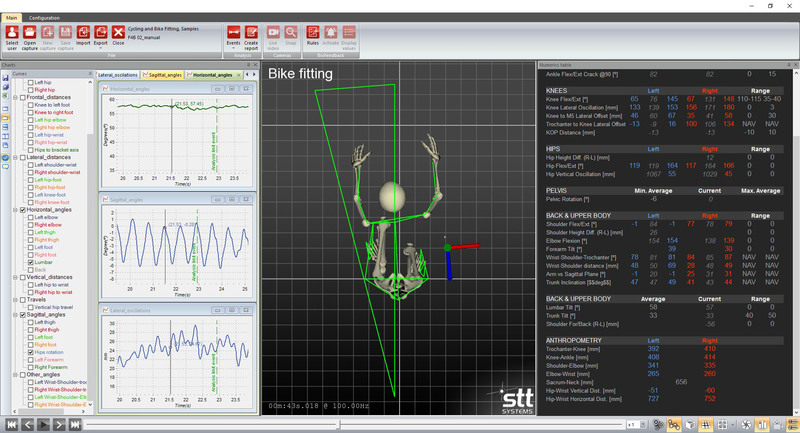 Setting up a Cyclist for analysis is as simple as placing their bike in the capture area, affixing markers to specific anatomical positions on the rider's body, and starting the capture. With easily customizable report templates, you can make the report you provide to your subjects uniquely your own. 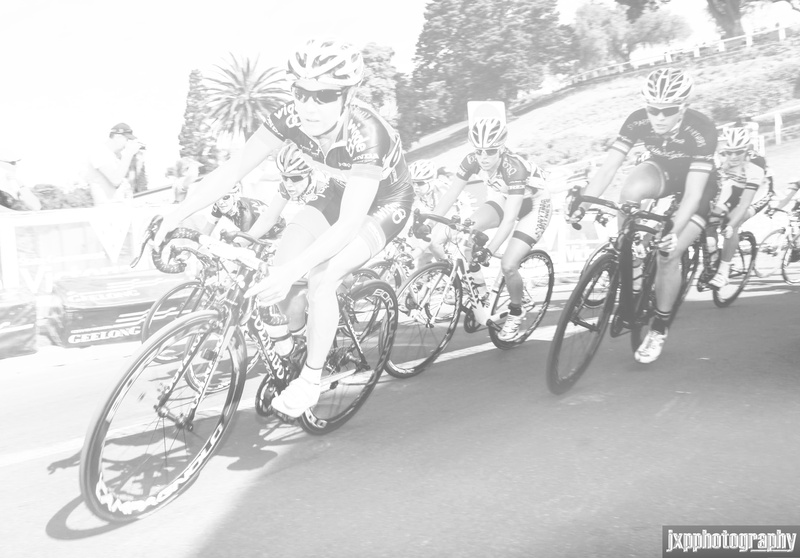 While the system provides data on an immense amount of variables, maybe you'd like to focus in on only the variables that directly affect the cyclist's efficiency. 3DMA makes it easy to identify these variables and display them in a clear and understandable manner. 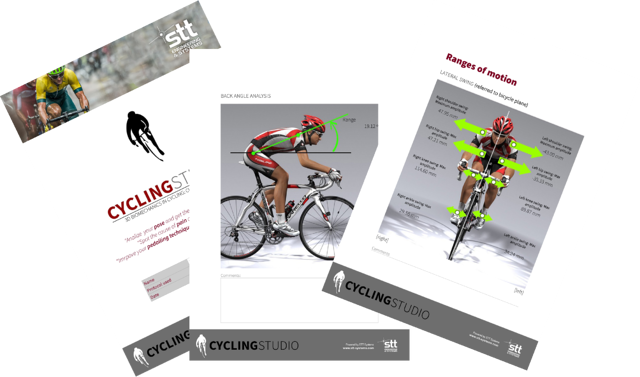 Print or email a PDF and watch as your clients leave with a greater understanding of their cycling mechanics. 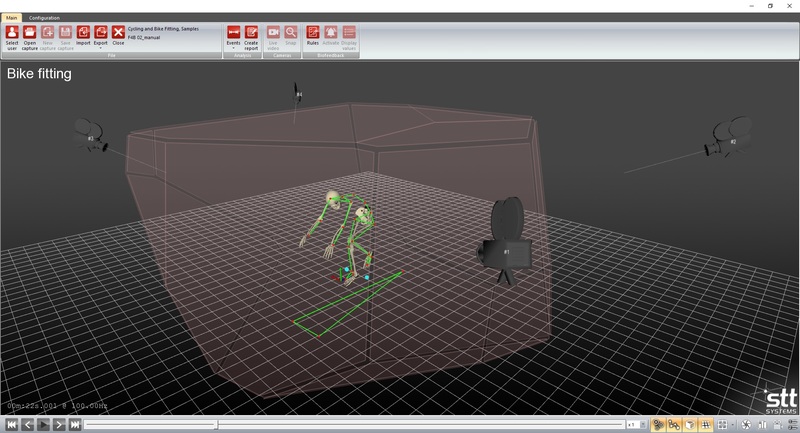 Through the use of 3D Motion Capture, the 3DMA system triangulates the position of anatomical markers in the calibrated space, and then computes the joint centers to build a true 3D model - in real time. 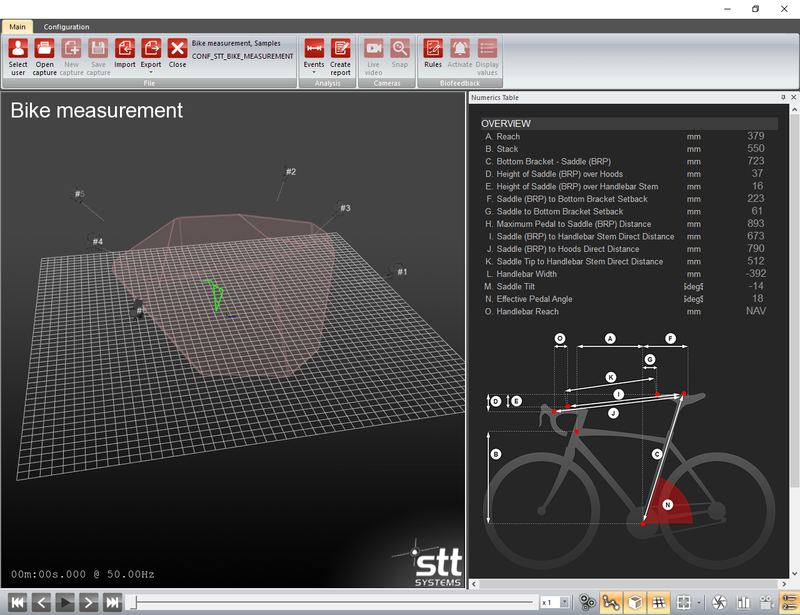 This allows users to view the model from any perspective and examine every detail. 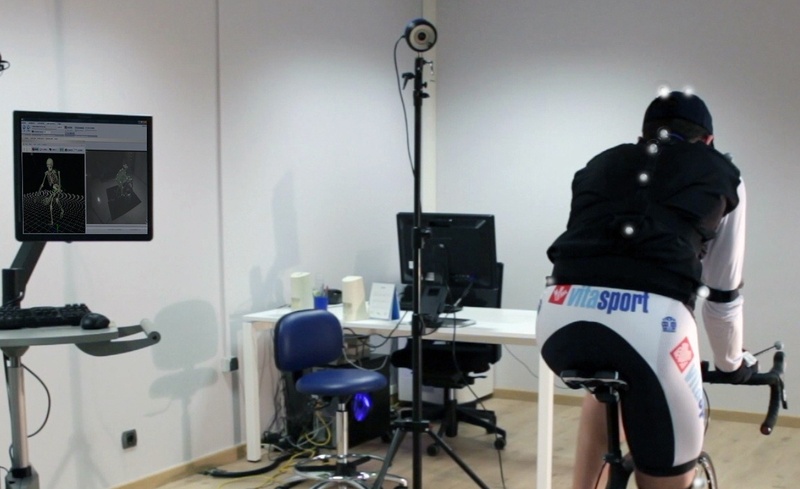 With this level of accuracy, we are taking the guess work out of bike fitting. We no longer need to surmise what it "looks like" is happening, we can provide validated data on what is happening, and have the data to back it up.